Your legs are made up of 5 important muscles: quadriceps, glutes, hamstrings, calves and adductors. 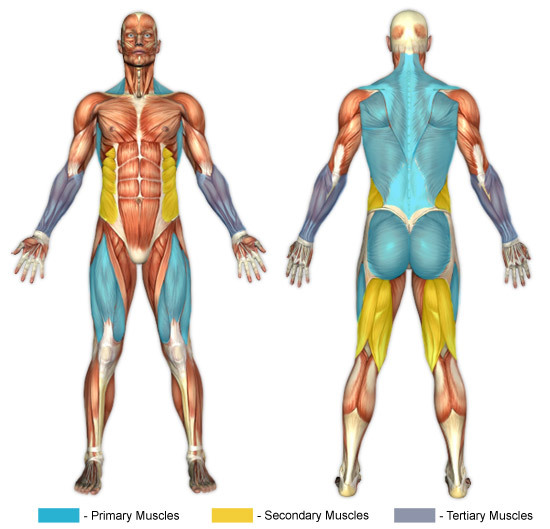 All of these muscles can be trained with 2 compound lifts and 1 optional supplemental exercise. Read on to learn about the 3 exercises. Squats with good technique and depth train your whole legs, but some muscles more than others. 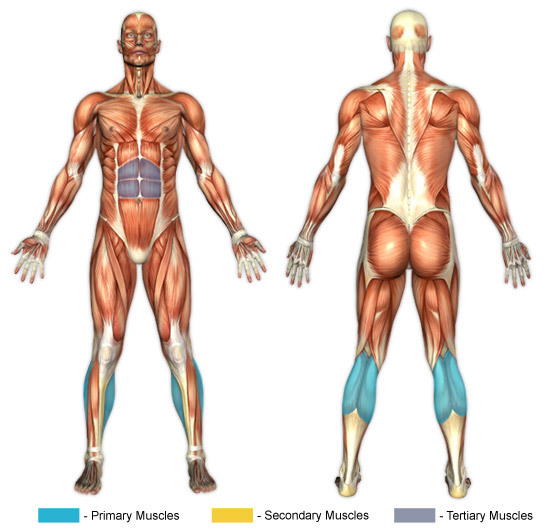 The primary muscles trained are the quads, glutes and adductors. 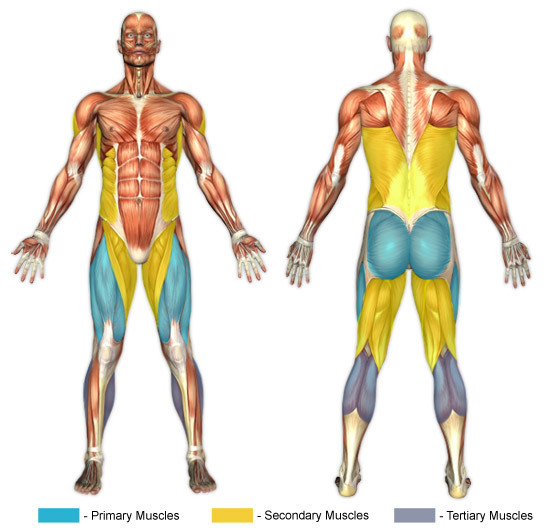 To train these muscles properly you should be squatting with good technique; below parallel, with your toes and knees out, the bar on your deltoids and chest up (your back will be straight as a result). This proper squatting technique is described thoroughly in Starting Strength by Mark Rippetoe. 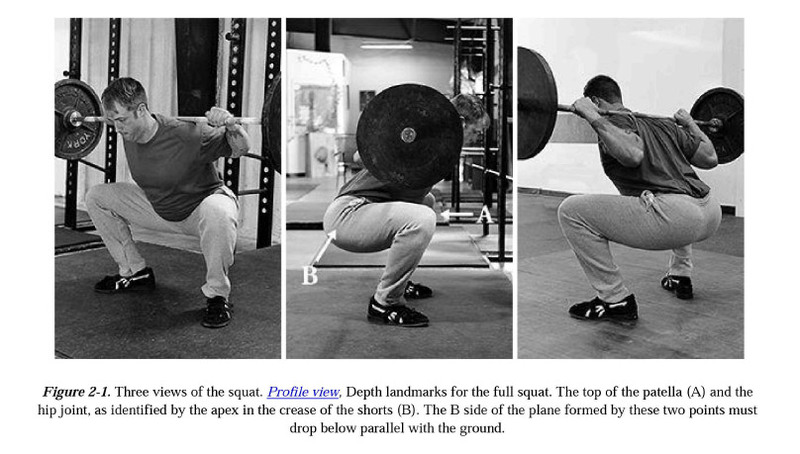 The image below shows 3 angles of a good technique squat as shown in Starting Strength. 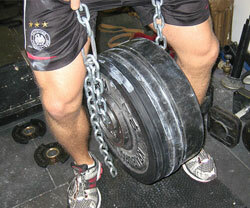 While squats do train the legs very well, deadlifts are great to do too. People can usually deadlift 50% more than they can squat. The range of motion your muscles go through is far less when deadlifting, so in that respect it is easier, but since you’re lifting more weight it’s a whole different experience for your muscles and simply helps them to grow more than if you did squats alone. Having good technique when deadlifting has 2 main benefits; protecting your back and allowing you to lift more weight. Starting Strength explains the technique far better than I can with a few bullet points, but I’ll give you a 1 sentence summary: feet 12 inches apart, toes and knees out, the bar 1.5 inches from your shins, grab the bar outside your legs, more the shins forward touching the bar, chest up and tense the back, push your legs into the ground lifting the weight, lock out then reverse the movement to the ground. 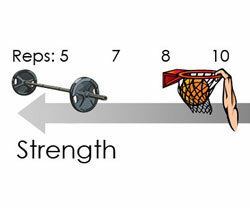 Following is a long diagram of the deadlift as shown in Starting Strength. While the above two exercises will train your calves somewhat, if you want to train your calves more than you can do donkey calf raises. Donkey calf raises require either a Dip Belt, or somebody to sit on you back. Your two options are pictured below, with Arnie pictured on the left. While keeping a straight back, raise your body up and down with your calf muscles. If you do the first two exercises 2-3 per week, your legs will improve drastically. You should have at least 1 day break between squat days, and 2 days break between deadlift days. Do take care though, make sure that you’re using good technique so you don’t get hurt. Following the diagrams shown above is a step in the right direction, but reading the book that I mentioned is the safest route. No Responses to "Best Leg Exercises"